If Samsung’s new flagship smartphones aren’t blingy enough for you (even in their golden color variants), and if you have enough money to burn, you should have a look at Legend’s 24K gold-plated, diamond-studded Galaxy S8 and S8+. 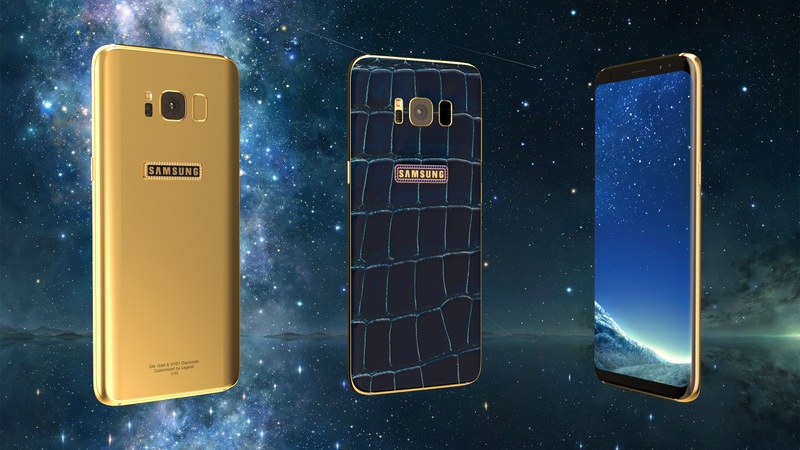 The Helsinki, Finland-based brand has developed a new way to cover the Galaxy S8’s glass back as well as its metal sides with 24K gold. The company will also add VVS1-grade diamonds around the Samsung logo at the back. The company has priced the Galaxy S8 and Galaxy S8+ at €2790 and €2890, respectively. However, if you want to spend even more, the company’s designer will help you add a custom logo, hand engraving, and even exotic leather to your device. You can buy this only if you are filthy rich like Pablo Escobar. how does mst works for samsung pay if its gold? oly mst works with glass plated na! Serious question, how do you gold plate glass and won’t that interfere with wireless charging? A fool and his money…. Why get the one plus when you get get the best phone on the market Right now. Forget Smart phones. This S8 is the first Super phone.